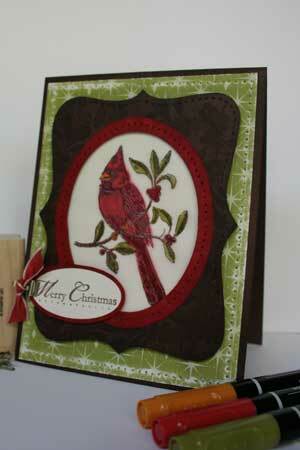 Emboss images on light colored cardstock, then apply darker ink to make them "pop". 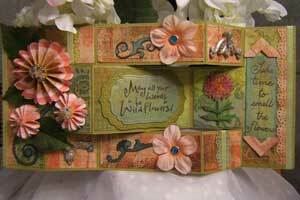 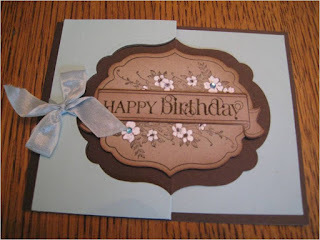 Use white embossing and a wash of white ink to make your images stand out on colored cardstock. 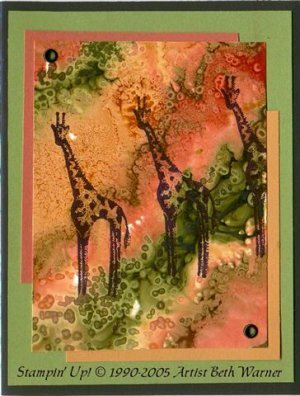 Use re-inkers and rubbing alcohol to create a marbled background. 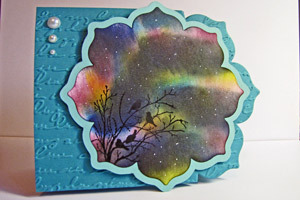 Create a background that looks like Northern lights. 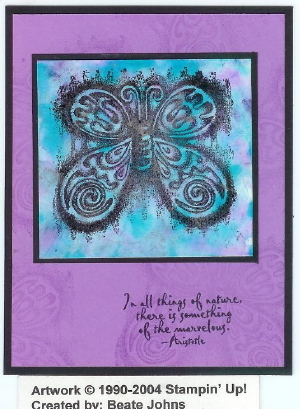 Create a marble looking background with Pearl Ex™ powder and white school glue. 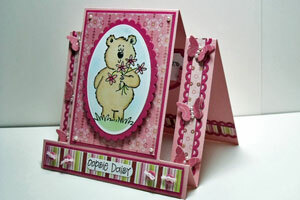 Use colored pencils, odorless mineral spirits, and blending stumps to color a masterpiece. 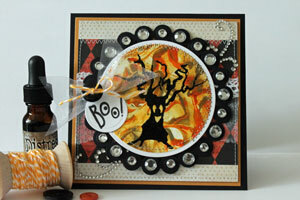 Bring the beauty of stained glass to your papercrafts, without the special tools. Special occasions call for special cards. 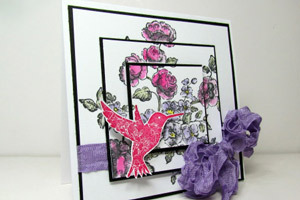 This one will fit the bill! 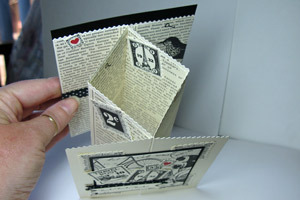 Tuck a surprise inside a box-shaped pop-up card! 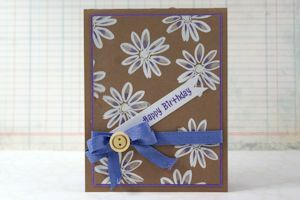 Create a unique card with a few cut lines and scores. 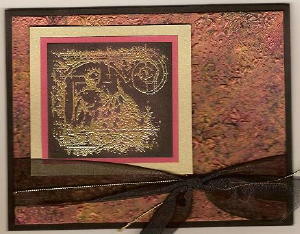 Stamp over several layers to create a dimensional image. 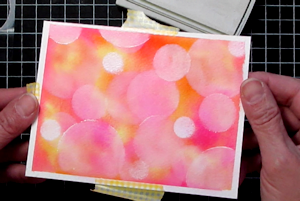 Use Pearl Acrylic Paint to create a shimmery resist background.